Insurance is not included in the tour price. Credit cards are not accepted. Reservation 3 days in advance is requested. Tour guide Takashi confirms your application. Customers are requested to pay a guide fee in cash at the end of the guide service. 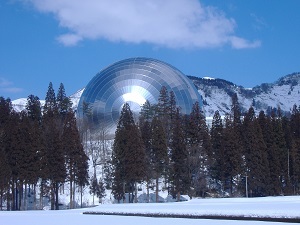 (2) name of your country (3) number of participants (4) desired tour date (5) name of your hotel at Kanazawa or Fukui..
anazawa station - 8:56am JR Fukui station-9:48am Katsuyama station - 10:00am Dinosau Museum - 1:20pm Katsuyama station - 1:45pm Eiheijiguti - 2:00pm Eiheiji Temple - 3:45pm Eiheiji temple - 4:20pm EiheijiGuchi bus - 4:43pm JR Fukui Station - 5:51pm JR Kanazawa station. 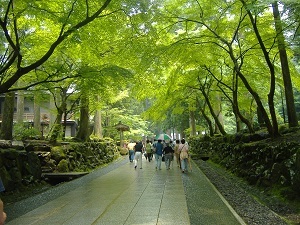 Tour guide fee: a group of not more than 15 persons: 27,000 JPY,which includes transportation fares for a guide, Takashi. Transportation fare a person: JR Kanazawa - JR Fukui : \2,500, One-day free ticket: \1,620, Bus fare for Eiheiji temple: \820, JR Fukui Station - JR Kanazawa station: \2,500.Lunch and personal expenses are not included. Sorry, please pay a lunch for a guide. Tour starts at 8:00 a.m. and ends at 6:00 p.m. We will meet at your hotel lobby at 7:30 a.m. Duration is about 10 hours. 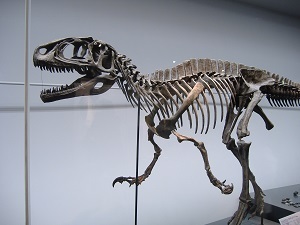 Fukui Dinosaur Museum is recognized as one of the top dinosaur museums in the world. 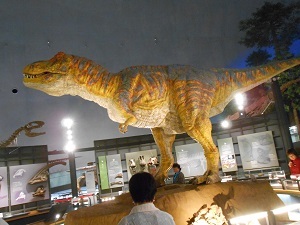 Visitors take a long escalator down to the first floor of the basement, and then walk up to the 1st floor, 2nd floor and 3rd floor observing various dinosaur-related exhibitions. 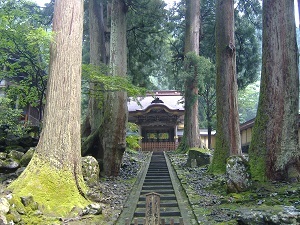 Eiheiji temple was founded by Dogen Zenji in 1244. It is about 760 years ago. He studied Zen Buddhism in China for several years, and introduced Soto Zen into Japan in 1228. 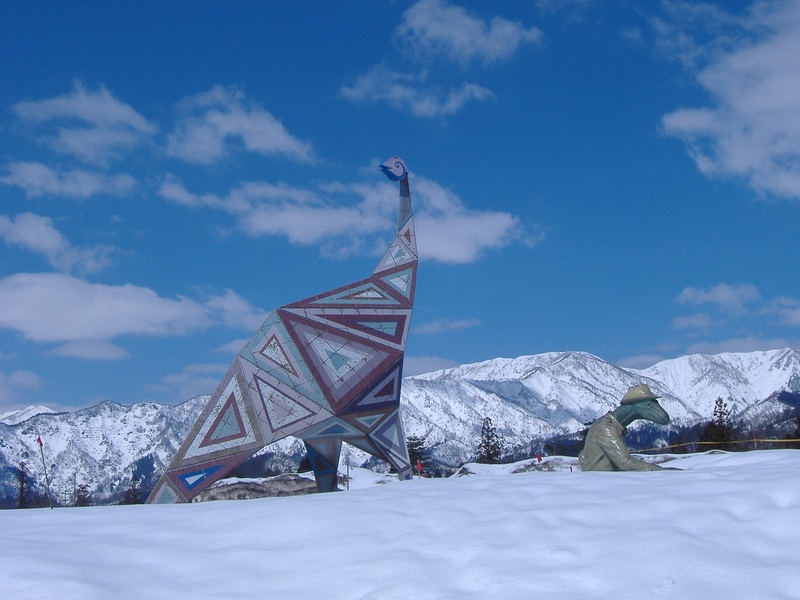 He established the temple in this remote mountainous place to practice Zen Buddhism . He has given a great influence on Zen Buddhism followers ever since. At present, about 200 priests devote themselves to Zen practices, which include not only Zen meditation, reciting sutra but also daily life such as preparing meals, the way of having meals, cleaning inside and outside of the temple buildings as an important Zen practice. 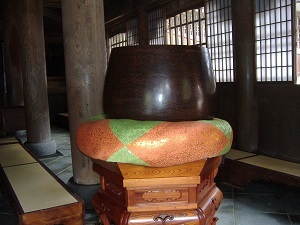 Visitors for sightseeing are treated and expected to act as Zen participants in religious training.